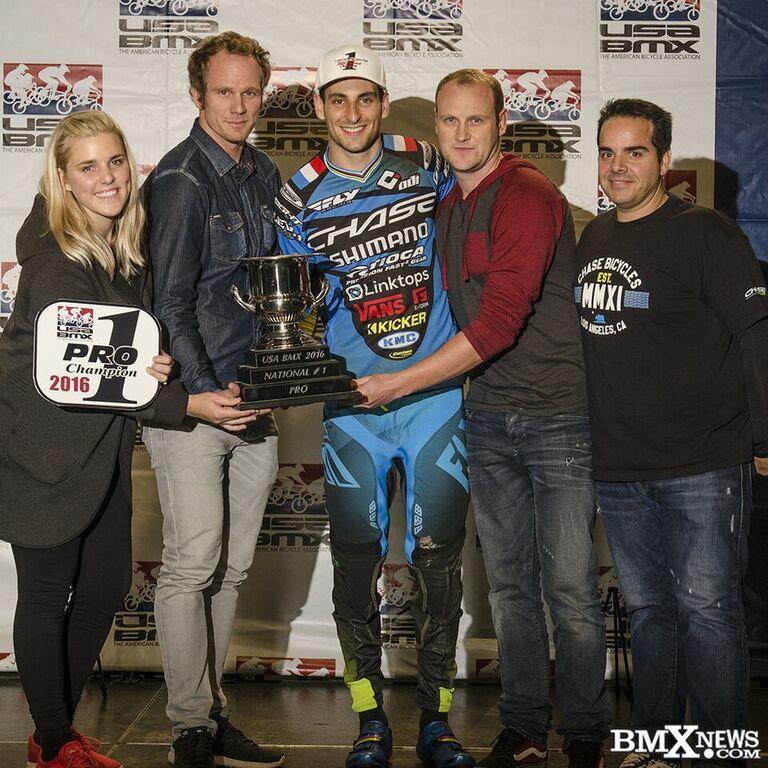 Joris Daudet wins the 2016 USA BMX #1 Pro Title, wining it for a 2nd year in a row! 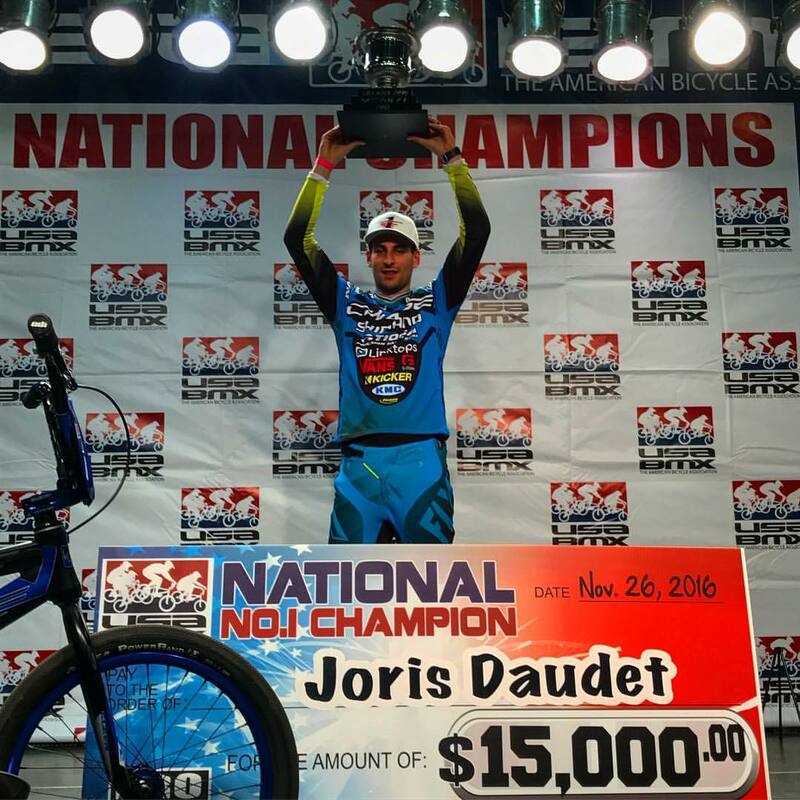 The USA BMX Pro series concluded tonight and Joris Daudet was able to back up his 2015 USA BMX title with another for the 2016 season. Joris had a near perfect night, but just missed the top spot, finishing up 2nd for the night. Connor Fields was on Joris Tioga Powerblock tire all night, finishing just behind him in 3rd place for the Saturday night Pro show. 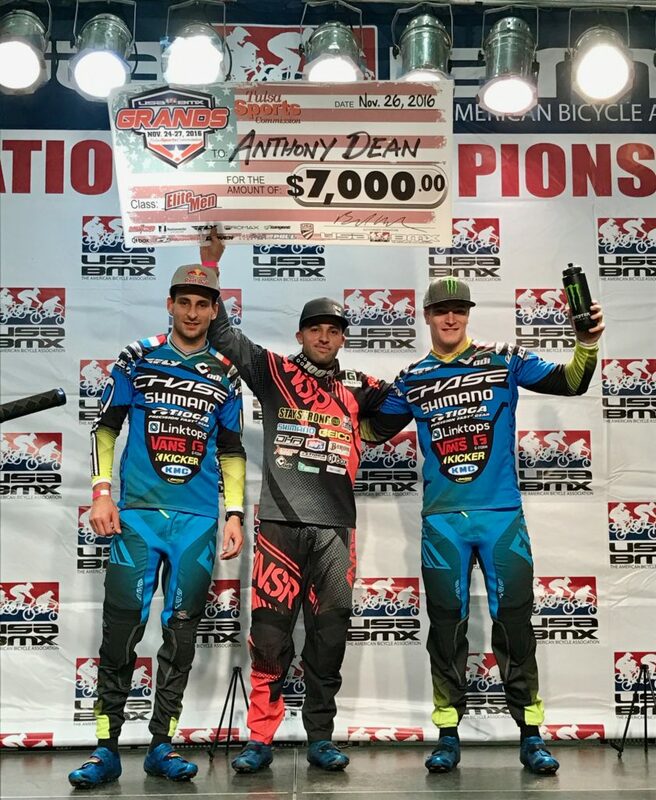 This was an excellent night for the Chase BMX Pro team, as both riders would once again be on the podium again at the Worlds largest BMX race, the USA BMX Grand nationals. 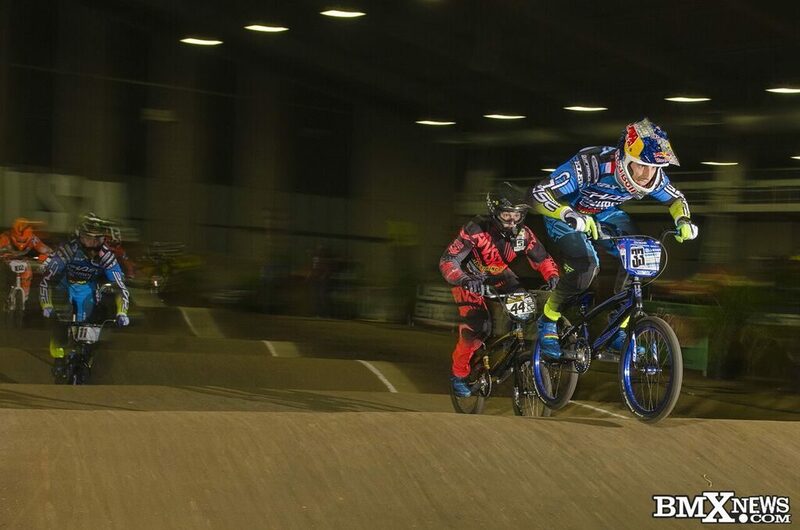 What a great season this was for Joris, as he not only backed up his 2015 USA BMX Pro #1 title, but added the UCI BMX World Championship to his now 2nd USA BMX Pro Championship. With 7 wins this season, this was Joris most successful USA BMX race season to date. Joris now looks to have some time off to reflect back on this incredible year and recharge for the 2017 season! Connor will undergo surgery next week to have the metal pins removed from his wrist, that were inserted to help him be ready for the Olympic games, but it will be just 3-4 weeks before he is back on the bike on track to go after Joris titles in 2017! Chase BMX would like to thank our great team of sponsors and partners made this such an great year for the brand, sweeping the most prestigious BMX race titles this year – Olympic Champion, UCI World Champion, and USA BMX #1 Pro title!